Jon Davis Tree Service and Removal LLC specialize in dangerous tree removals. If it has to do with trees, we do it. From trimming your palms to removing the mighty oak hanging over your house, you can count on Jon Davis Tree Service and Removal LLC. We remove limbs over garages, houses, and powerlines. We use experienced climbers whenever possible, but we use lifts only when the job requires it. A business developed on a basis of good workmanship, attention to detail and friendly costumer satisfaction. With over 15 years of experience, we are more than capable of completing your tasks to your liking. If you are looking for an affordable and reliable Ocala, FL Tree Service, don't hesitate to call Crews Tree Service. We are committed to making sure you are satisfied with our work. 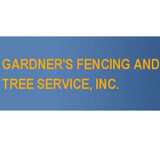 Gardner's Fencing and Tree Service, Inc. SERVING PASCO, HERNANDO, PINELLAS, & HILLSBOROUGH. LICENSED, BONDED, INSURED. FAMILY OWNED AND OPERATED WITH OVER 30 YEARS OF EXPERIENCE. MEMBER OF THE BETTER BUSINESS BUREAU. WE PROVIDE FENCE INSTALLATION OF ALL TYPES, TREE TRIMMING & REMOVAL. WE ALSO OFFER TRACTOR, LANDCLEARING, & BUSHHOGGING SERVICES & ALL TYPES OF HAULING & CLEAN-UP. We are a trusted Tree, Stump and Shrub removal company in Hernando, Citrus and Pasco Counties of Florida. Tree removal companies like At A-Z Tree, do more than just trim palm trees or remove storm damaged trees for our clients. We can clear trees from a vacant lot for your new building site, we can build retaining walls, we do restorative landscaping, replanting of removed trees and stump grinding and stump removals. About Us SkyFrog Tree and Landscape Service is a fully licensed, insured, and industry certified tree care and landscape operation. We are headquartered in Gainesville, Florida and serve all of North Central Florida. SkyFrog approaches each situation using values taken from our experience and training in the military: safety, efficiency, reliability, quality, and discipline. These values guide our operations from start to finish, and you can rest assured that you will receive the best service we are able to provide at every opportunity. Check out this video of an operation in Massachusetts to see SkyFrog in action and to find out what we’re all about! 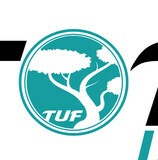 With over forty years of experience in the tree care and landscape industries, our knowledge, motivation and dedication set us apart from our competition. Our professional, reliable, and prompt service is backed by our commitment to customer confidence and satisfaction. JLH Tree Service of Citrus, Inc.
JLH Tree Service has been serving Citrus County and the surrounding area for over 10 years. Over the past decade we have created thousands of happy customers and have received multiple awards for our excellent service. Recently we received the Angie's List Super Service Award for the second year in a row. We are family owned tree service business located in Dade City Florida. Our professional and certified Arborist have many great reviews because we take pride in our work. At Griffin’s Tree Care, we have been providing our clients with tree care, trimming, and removal services for over 12 years. Our experienced staff is both knowledgeable and personable, going the extra mile on every job to make sure that our customers are completely satisfied before we leave the property. We never hire subcontractors, doing all of the work on your project ourselves from start to finish. We make safety our number one priority, for our staff, for your home, and for the people and animals that might be in the area. We always wear safety gear and take every available precaution to ensure that the job is done safely and without damage to your home or surrounding structures. If you are in need of tree care services, give us a call. We offer free estimates that involve a thorough evaluation of your property, pointing out any dangers or hazards that you need to know about. We always offer the most competitive rates along with the highest level of quality in the business. D & R Tree Service are landscapers providing tree service and lawn service. Do you need lawn mowing or tree trimming? Each professional landscaper on our team can help! We have over five years of hauling and landscaping experience We serve Hernando, Citrus and Pasco County We are always available for your convenience (24/7) We don't leave a job until our customer is 100% satisfied We offer FREE quotes all day everyday We are honest and offer the lowest rates. If you have a cheaper quote - tell us "We'll match it". Refer a friend or family member and receive a discount on your next appointment. In business for more than 20 years, Double T Tree & Tractor Service is a professional quality tree & tractor service. We specialize in tree removal, tree trimming, lot clearing, bush hogging, stump grinding and general tractor work. We offer free estimates and are insured. A large part of our success has been due to a reputation of professionalism, honesty and our skill in this field. For more information, call us today. For more information, call today (ask for Ben). Tree Care by Robert Miller, Inc.
Tree Care by Robert Miller is Family owned and operated business. We have been providing service inabout~~element70 (1) abundance to our customers in Pasco, Hernando and Citrus counties since 1990. Robert Miller taught his family and employees the importance of work ethic and it shows in every job. We can attribute our success to professionalism, hard work, and making sure every customer is satisfied. We are fully licensed and insured tree care company. Tired of having your leaves dead in the winter and going all in your yard? Neighbors getting tired of it also? Tired of worrying during hurricane season, when the wind gusts are up and you think that tree is coming down on your house. Well worry no longer. Our team will get the worry off your mind with our tree trimming and cutting expertise. We provide you with the state of ease, knowing that we will take care of it. Your Citrus Hills, FL tree service professional or arborist might work in conjunction with another landscape professional to create a seamless landscape design. Here are some related professionals and vendors to complement the work of tree services: Landscape Contractors, Landscape Architects & Landscape Designers, Garden & Landscape Supplies. Find tree service professionals on Houzz. Look in the Professionals section under Citrus Hills, FL tree services. You can look through portfolios and read reviews to see what past tree care clients have to say.